National identity in Moldova remains contested despite repeated attempts by governments, historians, and educators to cultivate a shared sense of national belonging through the development of history textbooks. Concern over professional status and distrust of the government’s motivations halted these reforms, demonstrating that the success of such efforts greatly depends on teachers’ and citizens’ social memory and everyday lives. 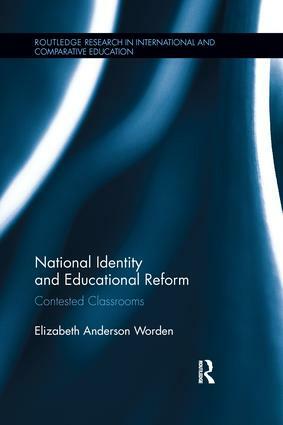 This volume looks at educational reform and the struggle over national identity in the history classroom from the perspectives of five different groups: elected politicians, Ministry of Education officials, textbook authors and historians, teachers, and students. Each chapter explores the actors’ motivations and agendas regarding reform, their role in promoting or obstructing the reform process, and their opinions about the ensuing controversy. Drawing on months of fieldwork and original research, author Elizabeth Worden examines the importance of teachers and students in the success or failure of a reform initiative.